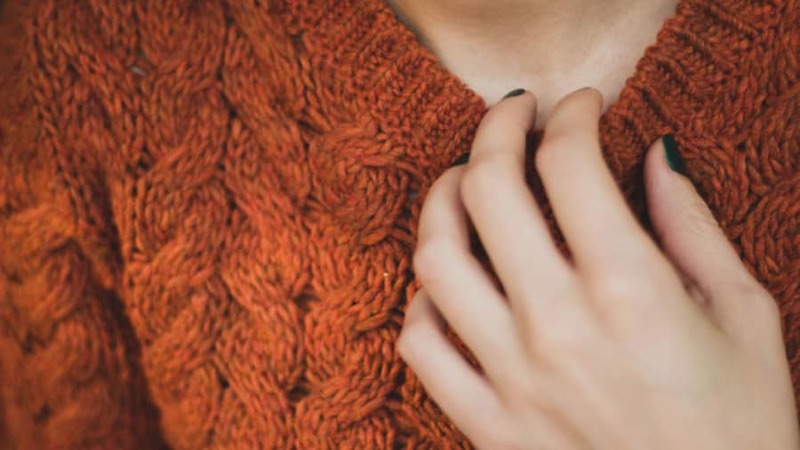 Credits: "Valeria Boltneva at Pexels.com"
Itch is an unpleasant sensation that drives the urge to scratch and is the most common symptom experienced by people with eczema. Itch can significantly impair one’s quality of life by disturbing sleep, school and work performances, social functioning, and psychological well-being. What Causes Itch in People with Eczema? What Are Some Ways to Fight Itch in Eczema? Treatment for itch in eczema ranges from topical medications and behavioral therapy to more complicated systemic medications. Frequently, a combination of approaches may be needed to achieve good control. Medications that change the metabolism and release of certain chemicals (such as serotonin) in our nervous system can help to reduce itching. Some of these medications belong to a group of medications known as mood-stabilizers, anti-anxiety, and anti-depressants. For example, doxepin is a sedating medication in the family of medications known as tricyclics but also works like a very potent anti-histamine. Similar to other sedating antihistamines such as diphenhydramine and hydroxyzine, oral doxepin helps to reduce itch by causing drowsiness and helps people with eczema get better sleep at night. Doxepin cream can be used in conjunction with topical steroids to help reduce itch in people with eczema, but may cause skin allergies in some people. Treatment with oral selective serotonin re-uptake inhibitors such as paroxetine and fluvoxamine can significantly reduce itch. The selective serotonin re-uptake inhibitors can improve skin lesions in a number of conditions associated with chronic itch but may be especially beneficial in people with eczema. 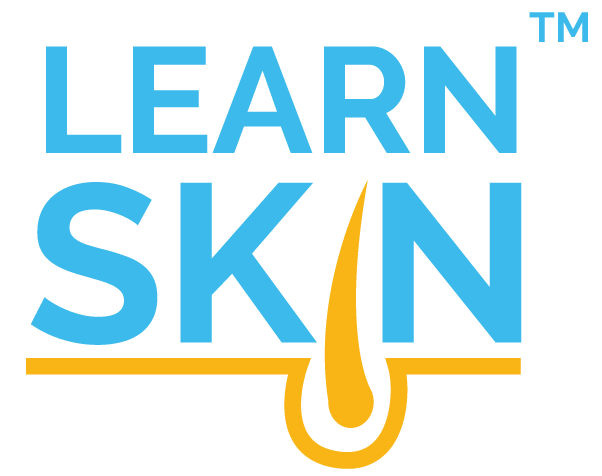 When eczema is moderate to severe and unresponsive to topical anti-inflammatory medications, systemic anti-inflammatory medications that suppress the immune function may be needed to help decrease itch and severity of skin symptoms. These medications are usually used along with topical anti-inflammatory medications in order to take a more intensified effect on eczema. Some of these medications include systemic steroids, mycophenolate mofetil, cyclosporine, methotrexate, and azathioprine. Anti-histamines are some of the most commonly prescribed medications for itch. There are two main classes of oral anti-histamines: sedating and nonsedating. Antihistamines are believed to have itch-relieving properties because they prevent histamines (an itch-inducing chemical) from being released by our immune cells. Sedating antihistamines cause drowsiness and therefore may help to lessen nighttime scratching to prevent further skin damage. However, there is relatively little data to support their anti-itch effect. In fact, the guidelines of care for eczema from the American Academy of Dermatology states that there is insufficient evidence that sedating or nonsedating antihistamines are effective in relieving itch or hive symptoms associated with eczema. However, sedating anti-histamines do help people get better nights of sleep, which can lower stress and indirectly help with itch. Phototherapy is also known as light therapy. The idea of treating eczema with phototherapy came from the observation that people with eczema had improved symptoms in the summer months when sunlight exposure was greater. Ultraviolet light type B or ultraviolet light type A can be used to treat itch in eczema. Narrow band ultraviolet light type B (narrowband UVB) is a type of phototherapy where the light source emits a narrow range of wavelengths, between 311 to 312 nanometers, to allow shorter exposure time but higher light intensity, which means people will need less ultraviolet exposure to achieve a treatment response. Phototherapy can decrease the number of nerve fibers in the skin to decrease itch sensations and restore the balance between anti-inflammatory and inflammatory molecules in the skin. In a randomized controlled study, researchers found that after 24 sessions of phototherapy, 90% of the people with eczema who received narrowband ultraviolet light type B experienced improvement in their itch, whereas 63% reported an improvement in their itch with ultraviolet light type A treatments, and 52% reported improvement in their itch after receiving visible light. Narrowband ultraviolet light type B appears to be the most effective phototherapy for people with eczema. Acupuncture and acupressure have been shown to significantly reduce allergen-induced itch intensity. Acupuncture may be more effective than cetirizine (an anti-histamine medication) if it is performed during episodes of itch. In people with moderate to severe eczema, acupressure using a small titanium bead to massage an acupoint on the arm 3 times weekly can significantly improve itching. Despite encouraging results, additional clinical studies with larger sample sizes and more repeatable approaches are needed to verify the benefit of acupressure and acupuncture in treating itch in eczema. Biofeedback is a technique to help one gain more control over normally involuntary functions, such as scratching. Biofeedback of muscle tension can be used to teach eczema patients how to relax, which can decrease skin inflammation and stress-triggered skin conditions like eczema. Cannabinoids are a class of chemical compounds that act on the cannabinoid receptors in our cells to influence nervous, hormone and immune functions. Cannabinoids can help itch by interrupting how the neuronal messages are transmitted within the itch-sensing pathways. Clinical studies have shown that a cream containing N-palmitoylethanolamine, an endocannabinoid (cannabinoid that is naturally produced in our bodies) can decrease skin inflammation and improve itch by 46% within 6 days in people with eczema. A synthetic cannabinoid called HU210 can reduce histamine-induced itch in healthy people and may be helpful in treating itch symptoms in people with eczema. Clinical studies have shown that young children who are massaged by their parents for 20 minutes daily for 1 month in addition to getting standard topical steroids and moisturizers experience significant improvement in skin redness, scaling, skin thickness, itching, and scratching, compared to children who only received standard treatment but without massage. Caution should be exercised when choosing a massage oil, as certain essential oils may cause skin allergy and irritation and may worsen itch. 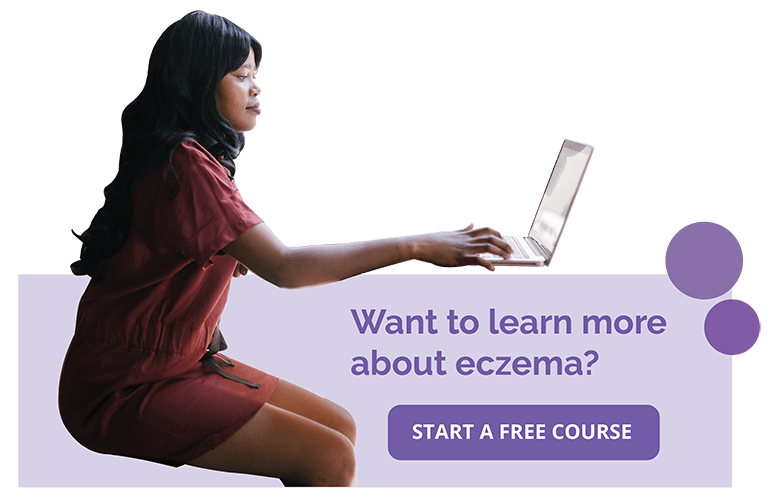 The most effective way to combat itch in eczema requires a treatment that integrates several approaches to address the mind and body interaction, which encompasses antiinflammatory medications, relaxation techniques, skin sensation modulation, and behavioral therapy. Blome C, Radtke MA, Eissing L, et al. Quality of Life in Patients with Atopic Dermatitis: Disease Burden, Measurement, and Treatment Benefit. Am J Clin Dermatol.2016;17(2):163-169; PMID: 26818063. Murota H, Katayama I. Exacerbating factors of itch in atopic dermatitis. Allergol Int.2017;66(1):8-13; PMID: 27863904. Jirakova A, Rob F, Secnikova Z, et al. Topical Corticosteroids but Not Calcineurin Inhibitors Induced Atrophy after Four Weeks. J Biol Regul Homeost Agents.2015;29(3):701-706; PMID: 26403410. Hamawy MM. Molecular actions of calcineurin inhibitors. Drug News Perspect.2003;16(5):277-282; PMID: 12942158. Groene D, Martus P, Heyer G. Doxepin affects acetylcholine induced cutaneous reactions in atopic eczema. Exp Dermatol.2001;10(2):110-117; PMID: 11260249. Kelsay K. Management of sleep disturbance associated with atopic dermatitis. J Allergy Clin Immunol.2006;118(1):198-201; PMID: 16815155. Drake LA, Fallon JD, Sober A. Relief of pruritus in patients with atopic dermatitis after treatment with topical doxepin cream. The Doxepin Study Group. J Am Acad Dermatol.1994;31(4):613-616; PMID: 8089287. Shelley WB, Shelley ED, Talanin NY. Self-potentiating allergic contact dermatitis caused by doxepin hydrochloride cream. J Am Acad Dermatol.1996;34(1):143-144; PMID: 8543684. Stander S, Bockenholt B, Schurmeyer-Horst F, et al. Treatment of chronic pruritus with the selective serotonin re-uptake inhibitors paroxetine and fluvoxamine: results of an open-labelled, two-arm proof-of-concept study. Acta Derm Venereol.2009;89(1):45-51; PMID: 19197541. Sidbury R, Davis DM, Cohen DE, et al. Guidelines of care for the management of atopic dermatitis: section 3. Management and treatment with phototherapy and systemic agents. J Am Acad Dermatol.2014;71(2):327-349; PMID: 24813298. Hanifin JM, Cooper KD, Ho VC, et al. Guidelines of care for atopic dermatitis, developed in accordance with the American Academy of Dermatology (AAD)/American Academy of Dermatology Association "Administrative Regulations for Evidence-Based Clinical Practice Guidelines". J Am Acad Dermatol.2004;50(3):391-404; PMID: 14988682. Kamata Y, Tominaga M, Takamori K. Itch in Atopic Dermatitis Management. Curr Probl Dermatol.2016;50:86-93; PMID: 27578076. Reynolds NJ, Franklin V, Gray JC, et al. Narrow-band ultraviolet B and broad-band ultraviolet A phototherapy in adult atopic eczema: a randomised controlled trial. Lancet.2001;357(9273):2012-2016; PMID: 11438134. Burkhart CG, Burkhart HR. Contact irritant dermatitis and anti-pruritic agents: the need to address the itch. J Drugs Dermatol.2003;2(2):143-146; PMID: 12852365. Peier AM, Moqrich A, Hergarden AC, et al. A TRP channel that senses cold stimuli and menthol. Cell.2002;108(5):705-715; PMID: 11893340. Young TA, Patel TS, Camacho F, et al. A pramoxine-based anti-itch lotion is more effective than a control lotion for the treatment of uremic pruritus in adult hemodialysis patients. J Dermatolog Treat.2009;20(2):76-81; PMID: 18821119. Gooding SM, Canter PH, Coelho HF, et al. Systematic review of topical capsaicin in the treatment of pruritus. Int J Dermatol.2010;49(8):858-865; PMID: 21128913. Cusano F, Luciano S. Contact dermatitis from pramoxine. Contact Dermatitis.1993;28(1):39; PMID: 8428445. Pfab F, Huss-Marp J, Gatti A, et al. Influence of acupuncture on type I hypersensitivity itch and the wheal and flare response in adults with atopic eczema - a blinded, randomized, placebo-controlled, crossover trial. Allergy.2010;65(7):903-910; PMID: 20002660. Pfab F, Kirchner MT, Huss-Marp J, et al. Acupuncture compared with oral antihistamine for type I hypersensitivity itch and skin response in adults with atopic dermatitis: a patient- and examiner-blinded, randomized, placebo-controlled, crossover trial. Allergy.2012;67(4):566-573; PMID: 22313287. Lee KC, Keyes A, Hensley JR, et al. Effectiveness of acupressure on pruritus and lichenification associated with atopic dermatitis: a pilot trial. Acupunct Med.2012;30(1):8-11; PMID: 22207450. Stewart AC, Thomas SE. Hypnotherapy as a treatment for atopic dermatitis in adults and children. Br J Dermatol.1995;132(5):778-783; PMID: 7772485. Twerski AJ, Naar R. Hypnotherapy in a case of refractory dermatitis. Am J Clin Hypn.1974;16(3):202-205; PMID: 4814017. Tausk FA. Alternative medicine. Is it all in your mind? Arch Dermatol.1998;134(11):1422-1425; PMID: 9828879. Eberlein B, Eicke C, Reinhardt HW, et al. Adjuvant treatment of atopic eczema: assessment of an emollient containing N-palmitoylethanolamine (ATOPA study). J Eur Acad Dermatol Venereol.2008;22(1):73-82; PMID: 18181976. Dvorak M, Watkinson A, McGlone F, et al. Histamine induced responses are attenuated by a cannabinoid receptor agonist in human skin. Inflamm Res.2003;52(6):238-245; PMID: 12835895. Schachner L, Field T, Hernandez-Reif M, et al. Atopic dermatitis symptoms decreased in children following massage therapy. Pediatr Dermatol.1998;15(5):390-395; PMID: 9796594.